The industry has several multi-billion-dollar deals on the horizon. These include Northstar, Carefree and YES – each asking around $2 billion for their portfolio. We’ve been writing for several years about the coming consolidation of the mobile home park sector. One of the first steps is to create critical mass opportunities that attract new entrants that are highly capitalized. These new groups – having already attained billion dollar status and capable of doubling or tripling that – are capable of buying portfolio after portfolio. Although SUN has already announced that they are purchasing Carefree (see article below), the other two deals remain on the market and are no doubt making the rounds of private equity groups both here and abroad. And this activity creates the natural evolution to more industry consolidation in the future. Is this a positive step in the evolution of the industry? Definitely “yes”. 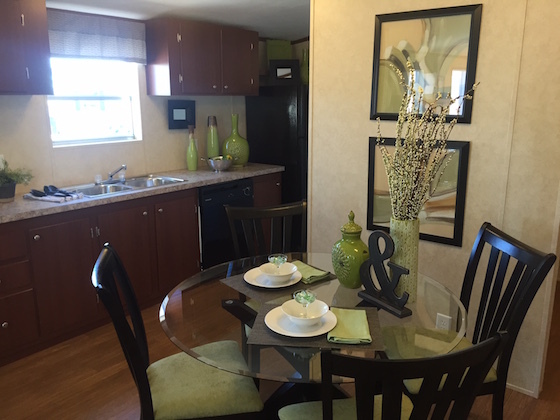 Will this increase the value of all mobile home parks over time? “Yes”. Does this mean that you should buy parks now instead of later? “Yes, as long as they’re great deals”. How do you make $100,000 per year in cash flow from a mobile home park? This is a common question, as $100,000 is the amount many people need to replace their day job. Can it be done? Yes, but you have to find exactly the right park and make the correct moves. So here’s how you can make $100,000 in cash flow from a single mobile home park. The first step in making cash flow is to find a park that is a steady, income generating machine. It needs a solid infrastructure and city water and sewer. It needs a great location that pulls strong numbers with a test ad. It needs to be in a market that is recession-resistant and not subject to economic collapse. You can confirm these factors with proper due diligence. For the sake of this example, you need a park of around 80 lots or more. While you can achieve $100,000 per year with a smaller property, 80 lots and up is the sweet spot. Why? You need the critical mass of having around 100 income units to hit the number you’re seeking. As you’ll see in a second, the smaller the park, the harder this is to accomplish. Raise the rents $100 per month on 80 occupied lots. It might take you four years to do this at $25 per year, or three years at $33 per year. But you should be able to hit this goal with most parks that have good locations and are starting off significantly below market levels. Push the water/sewer charge back on the tenants. This is the only fair system that causes conservation and makes the resident responsible for their own usage. This typically will not increase the cash flow $100,000 per year on its own, but it can contribute around $40,000 per year in most parks. This is often used as a first-year rent increase. Fill 20 vacant park-owned homes. Assuming your lot rent is $350 per month, this will get you $84,000 per year in cash flow. But to do this right, you need a park in which these homes are vacant due to marketing and not huge renovation issues. We typically spend $4,000 per home ($2,000 parts and $2,000 labor) to renovate a vacant park-owned unit. Be sure that you have built enough capital into your budget at purchase to accommodate this cost. Fill 20 vacant lots. That will also get you $84,000 per year. So as to keep this financially possible, you will need to use a zero-down program such as 21st Mortgage’s CASH program to bring in the homes. Most successful parks use a combination of these factors to hit the target of $100,000 per year of cash flow. Maybe you fill 6 vacant homes for $24,000 per year of cash flow, while raising the rent $50 per month on 74 lots, which frees up another $46,000 per year of cash flow. Now you’re at $70,000 of positive cash flow. The next year you raise the rent again by $25 per year, and that’s an extra $24,000 per year of cash flow. So now you’ve hit $94,000. Or maybe you fill 6 vacant lots instead of renovating park-owned homes. Or maybe you push the water/sewer costs back on the tenants and garner $48,000 per year of cash flow in that first year, instead of a rent raise. But the bottom line is that most any decent park can hit $100,000 over time using a combination of these four strategies. If you want to substitute the cash flow of a mobile home park for your day job, that’s one thing. But don’t do it because of time reasons. Because the truth is that it does not take that much time to operate a mobile home park for most owners. Assuming you have an on-site manager, you can have a successful park that hits the budget consistently on a time commitment of around 4 hours per week. For most park owners, you don’t even have the need of having a single employee to interface with your managers until you hit around 500 lots or so. As weird as it sounds, some people actually see their day job differently once they have established a second income stream that takes off the stress and empowers them to be more open about their opinions on what happens in the workplace. A mobile home park is a great excuse to quit your day job, but not due to time constraints. 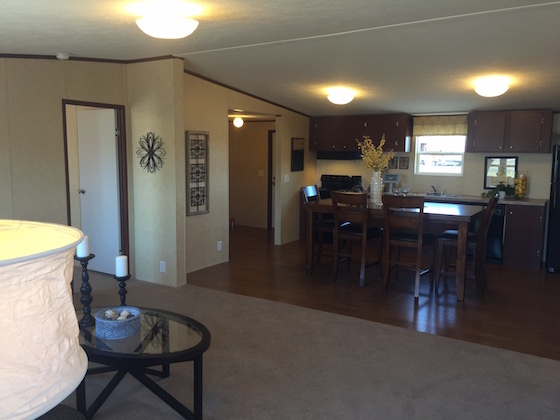 Any decent mobile home park has the ability to generate $100,000 per year of cash flow. This is what makes most people get out of their comfort zone and buy them. But you have to make sure that you are buying a park that has the right raw material to work with. Benjamin Franklin said that “diligence is the mother of good luck” and this is as true today as it was 200 years ago. 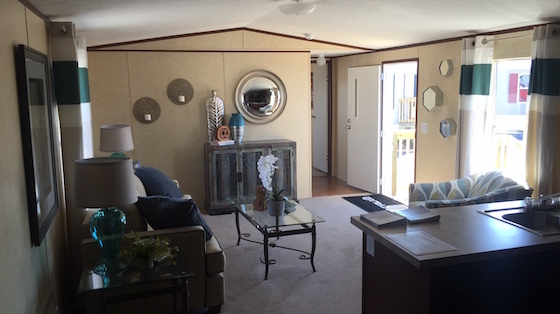 So if you’re looking at replacing your day job’s cash flow – or simply wanting to create a second income stream – then a mobile home park is a sensible approach. We still have a few spots left at our upcoming Mobile Home Park Investor's Boot Camp in Nashville, TN on April 15th-17th. You’ll learn how to identify, evaluate, negotiate, perform due diligence on, re-negotiate, finance, turn-around and operate mobile home parks. 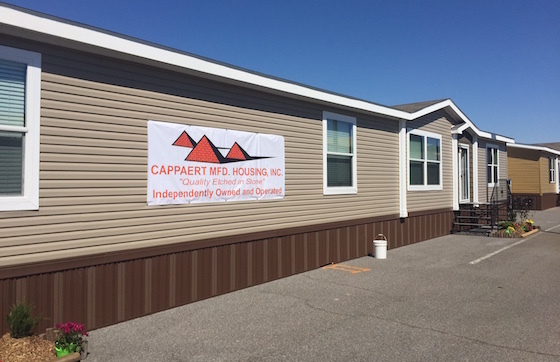 It’s a three-day immersion weekend, with over 30 hours of instruction both in the classroom and outside in real mobile home parks. And be sure and bring the family as Nashville offers everything from the Grand Ole Opry to top museums and entertainment venues. Learn why the New York Times raved about the quality of our Boot Camp, and the instructor, Frank Rolfe. Frank, with his partner Dave Reynolds, is the 6th largest owner of mobile home parks in the U.S. and the New York Times described him as “having a virtual PhD on the habits of trailer park residents”. With over 180 parks and 19,000 lots, Frank can tell you virtually everything you ever wanted to know about buying and operating a mobile home park. And you also receive a ton of valuable items, such as the Park Evaluator software and every form and contract you will ever need. Mobile Insurance Is Our Insurance Expert! Whether you are simply in need of an insurance quote or you have the unfortunate, yet common task of filing a claim, Mobile Insurance is ready and waiting to take your call. Harry Dent produces a newsletter that gives opinions on the economy, and it is widely popular with investors throughout the U.S. Dent has had two major, successful predictions. The first was the collapse of the Japanese economy. The second was that the Dow would break 10,000. Recently, Dent stated that he’d rather own a mobile home park in Omaha than a single-family home. He is essentially predicting that the single-family home market will collapse around 50% in the near future in some markets, while mobile home parks will not lose their value. He has tied this prediction back to the run-up in single-family home prices since the 2008 bubble burst, despite the absence of any fundamental reason for this rise, coupled with the decline in foreign buyers using American homes as hedges against economic collapse in their home country. He uses as his benchmark the example of a “trailer park in Omaha” which, to us, effectively means affordable housing in the heart of the Midwest. We couldn’t agree more – we own a couple trailer parks in Omaha. But we think the bigger moral is that mobile home parks are on the right side of every trend out there, from the decline in the U.S. economy to the retirement of 10,000 Baby Boomers per day. When we see Manhattan condominiums advertised for $10 million we cringe. That sounds about as compelling to us as buying oil futures at $100 per barrel. The economy is a maze of cycles, and you want to be on the right side of those. Otherwise, you are trying to swim against the current – and often you drown. 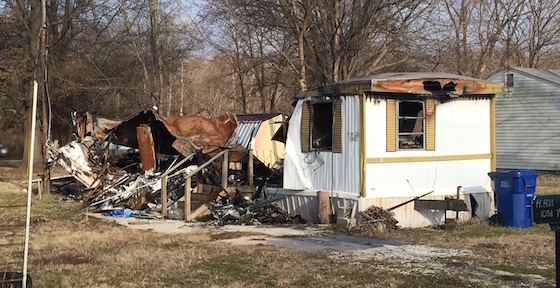 Have you ever driven into a mobile home park and seen a burned home? Or an overflowing dumpster? Or a sign that is decomposed back to raw plywood? While these may be a turn-off to potential customers, it’s definitely a good sign when you are looking at buying a park. Even the most enthusiastic landlord can be stricken with health issues. Or a family crisis that takes their attention away from their business. Let’s face it, life is short and we are all going to wear out at some point. One of the most common factors in a park owner losing interest is often simply boredom. If you do the same thing over and over for decades, you eventually gravitate to something that is fresh and more interesting. It’s not uncommon to come across an owner that has let the common areas go to seed yet spends their entire day restoring cars in the office garage. 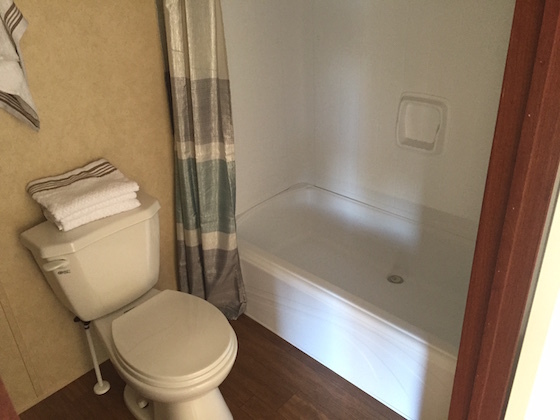 When you first buy a mobile home park, you have a hundred goals and projects to work on. You think “I don’t want to sell, because there’s so much more than can be done with the property”. But once you’ve done all that you wanted to accomplish, and lose interest in day-to-day operations, then owning the property becomes a chore. Any owner should acknowledge this danger, and pledge to sell their property before they enter that chapter of ownership. But many don’t. They let their lack of interest fester until they become the single biggest roadblock to the property operating at its full potential. At that point, they just want to dump the park and find a happier setting. Buying a park from an owner that has lost interest can be hugely lucrative. These are the cases in which the lot rent is well under market, there are vacant homes that just need some cleaning to rent or sell, and water leaks and other costs to slash. We have always said that the best parks to buy are “stabilized with upside” – situations where the tenant base is basically stable and rent is roughly being collected, but there is giant opportunity in tightening up the sails and taking the park to the next level. If you can buy this type of park at a 10% cap rate, you can often drive that to a 12% cap rate in no time. We once purchased a park in Illinois in which the seller had not mowed the grass in a year. Not once. So the grass was around 4’ high. You can imagine what a turn-off that was to 99% of the park buyers out there. This, in turn, made the park owner desperate, as they had completely lost confidence in the value of the park. We bought this park at a crazy low price, and then broke out the brush hog and lawnmower and had the park back to normal in a month. The total cost was around $5,000 in mowing for around 80 lots, which included all edging and round-up. So the lack of mowing saved us $300,000 in purchase price and cost $5,000 to fix. That’s a type of deal structure we’d do every day. You never want to own a park when you’ve lost interest in it. But some park owners do anyway. Those are the best parks to buy. Watch for signs of the owner who no longer cares. Those are great to see when you’re looking for a good deal. We had barely heard the news that Carefree Communities was for sale when SUN announced that it was buying their portfolio for around $1.7 billion (see the full announcement). What’s really hard to get a handle on is how this deal breaks down. Carefree owns around 27,000 lots, but around 2/3 of that number are RV lots. The price of around $60,000 per lot seems very rich when you factor in the RV component, and the cap rate is a nebulous 5% to 6% based on most industry analysts. These deals, like a National Enquirer article, are hard to sift the facts from the fiction. All that’s for sure, at this point, is the sale price. Of all the alliances you have to forge in successfully buying and operating a mobile home park, one of the most important is your attorney. There are many different attorney profiles, and you must select the one that is best suited for the task at hand. The most common occurrence, for most park buyers, is the attorney to read and protect your interests regarding loan documents and questions that come up on title and contract issues. Like anything else in life, if you chose a bad advisor, you will have a bad outcome. So how do you find a terrific lawyer well-versed in mobile home park law and issues? The best corporate lawyer we have ever used is Dave DiMarco at Woods Oviatt Gilman, LLP. We have used him exclusively for all of our conduit loans, as well as traditional bank loans. What we love about Dave DiMarco is that he knows what we are trying to accomplish (get the loan closed quickly and inexpensively) and he can quarterback the situation and push it to the goal line without us having to bug him or worry about our progress. 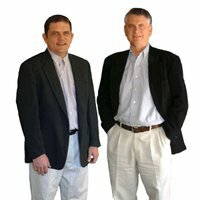 How many attorneys have you had to nag, or even worse, call 100 times to get them on the phone? With Dave DiMarco, you don’t have to worry about if he’s making progress – he’s typically bugging you to push you along on your part of the equation. We have given Dave some extremely complicated, time-sensitive tasks and he has successfully completed them on-budget and on-time. He also has terrific people skills and can take charge of a rogue bank attorney and bring them back around both in speed and complexity. Our success rate with Dave DiMarco has been 100%. We get calls all the time from people looking for a good lawyer, and we always tell them to call Dave. If you need a lawyer to represent your interests in a transaction, then you will be well served to call Dave DiMarco at (585) 987-2833. And, yes, he’s the brother of Anthony and Gerry DiMarco – the #1 mobile home park loan brokers in the U.S. This is a family that definitely shapes the industry. 21st Mortgage is hosting 3 seminars on how the program works in Colorado this month. Here is a flyer with more information. There are two mobile home shows in the U.S. that most park owners attend: 1) Louisville, Kentucky and 2) Tunica, Mississippi. They are very different in setting and tone. Louisville is indoors while Tunica is outdoors. Louisville is more highly attended while Tunica is set at a casino. 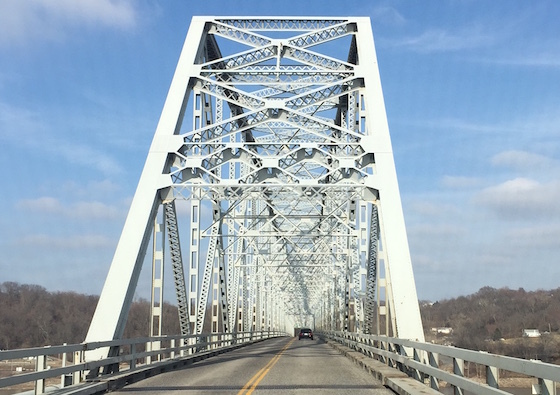 Louisville is uplifting and cosmopolitan while Tunica is, well, depressing. But there is plenty of good information to be gleaned at both shows. 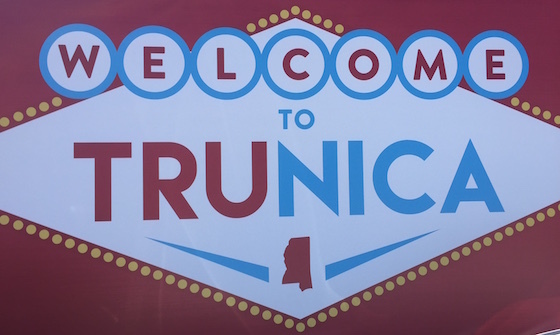 The Tunica Show had a day of speeches on various topics related to manufacturing, retail and park ownership. Frank gave a speech on those traits that yield successful park purchases. Here were the bullet points of his speech. Location, Location, Location. Seek out great school districts, larger population bases (around 100,000) and diversified economies. 3-point spread = 20% cash-on-cash return. It’s all about the spread between cap rate and loan interest rate, assuming 70% to 80% LTV. Renew your loans two years ahead. One year to renew and a second year to sell it off if you fail in the refi. Never get caught in a term default. Parks rarely default on their loans economically – but term is quite common, unfortunately. “Due diligence is the mother of good luck” – Ben Franklin. Still true today. Test your numbers at least three times, and rebuild all financials from the ground up. Leave nothing to chance, from line integrity to permit. Trust nobody. Do all capital repairs on the front end and set an example for the residents. Upgrade the image immediately and attract better tenants and make the existing ones happy. No pay/no stay on collections. Nothing else works. Period. If they don’t pay, you evict them. Nothing personal. Just good business. No play/no stay on rules. If they don’t want to play by the rules, then they need to leave. It’s not fair to the neighbors who behave themselves. Stay on top of water/sewer costs. It’s the single biggest cost in any park. If you are the master of that, then you are doing a great job of keeping park costs in-line, even if your manager buys one extra high-lighter too many. Don’t play with private utilities unless you 1) know what you’re doing and 2) can write really big checks. Be easy to buy from and easy to sell to. As a buyer, bond with the seller and use win/win negotiating. As a seller, price your property reasonably and realize that you have to be bankable or the deal will never close. Probably the most interesting speaker was a retailer who has sold 60,000 homes over the past 30 years. His speech was on installing “quality” into everything you do. That means taking pride in your product, marketing, even the way your salespeople dress. Not a speech we haven’t heard before, but we were still trying to get over the fact that they guy had sold 60,000 homes. There was a big banner that said “Welcome to TRUnica”. And that pretty much summed it up. The pricing and quality of the TRU Homes section was truly awe inspiring. First up to bat was a single wide 14’ x 60’ 2-bedroom at a price of $15,585. Vinyl-sided with shutters and attractive colors, it looked great on the outside. But the inside was even better. The designers that TRU (and all of Clayton) have doing their staging are the best in the industry, and these homes prove that. 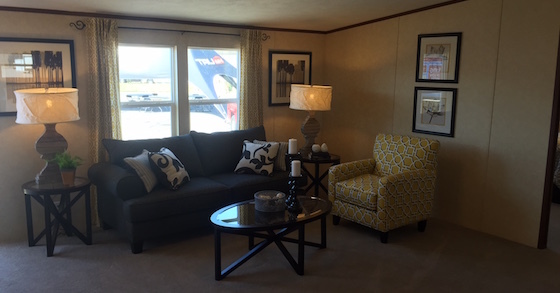 The second home in the TRU pavilion was a vinyl-sided doublewide 28’ x 44’ for $22,508. For those who have looked at doublewides in the past, you will do a double-take on that price point. That’s about 70% less than many manufacturers. Again, the staging was epic. Just look at these photos. 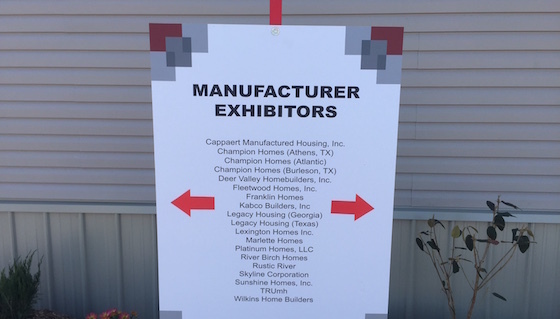 One of the interesting things about a mobile home show are all of the brands you’ve never heard of. So who buys these homes? Not park owners, that’s for sure. These homes, however, can be popular with those who buy them to go on their own land, and are willing to pay for certain brands and models and more expensive finish out. The most expensive homes at these shows sometimes exceed $100,000 – nothing that a park owner would ever buy, but a farmer sure might. 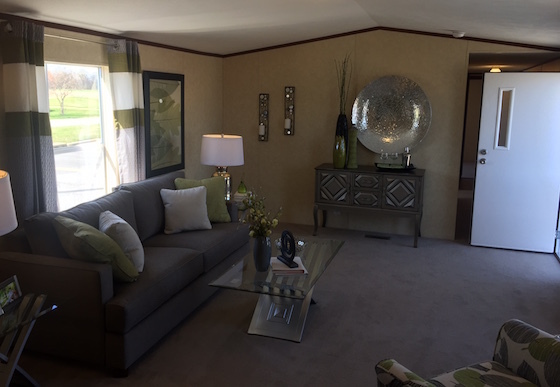 Each mobile home show has an obvious winner who stands above the competition. At Louisville it was Clayton, and at Tunica it was TRU (which is a division of Clayton). So Clayton won the show game this year 2 to 0. 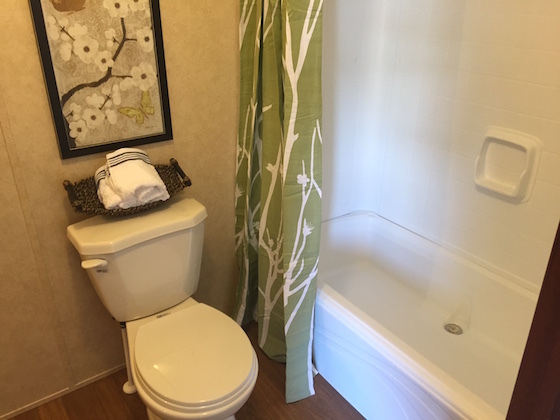 Thank Warren Buffett and Kevin Clayton for taking the mobile home product to the next level. Pretty amazing stuff. I wanted to share my recent experience with Mike Renz. 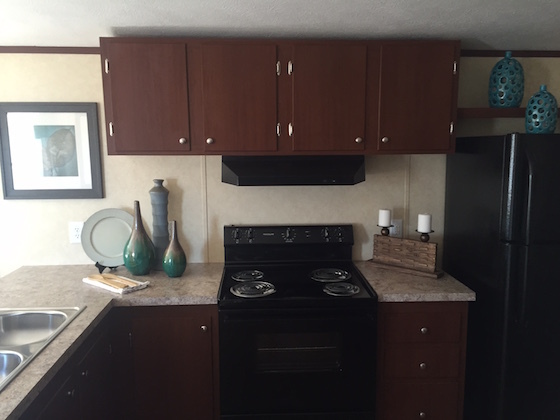 Jeff and I needed a Phase I completed for a mobile home park purchase late last year. I shopped around, including Mike Renz as one of my quotes, and eventually chose a local consultant to perform the work. The savings was on the order of $300, and the local guy was "local"--meaning, he should be familiar with the area databases, industries, geology, etc. In my initial conversation with Mr. Renz (and during every presentation he's given for you), he mentioned that regardless of who I chose, if I had questions, to call him. His advice would be free of charge. The report I received from the local consultants was pretty bad. Being an engineering consultant in my prior life, I was expecting a much higher quality report. The local guys didn't really do any consulting, and worse, made blanket assumptions, suggested scientific theories that were incorrect with no supporting data, and worst of all, erroneously listed recognized environmental conditions (REC). I called Mr. Renz--he immediately/graciously reviewed the report, talked me through his major concerns, and provided a detailed email with a list of talking points that helped me discuss the report with the local consultant. With the talking points, I was able to reason with the local consultant. The final product was a Phase I report that I felt comfortable with, and more importantly, that the bank accepted. Needless to say, next time Jeff and I need a Phase I, we're calling Mr. Renz. As always, Jeff and I appreciate your help and advice and your willingness to share your experiences. After listening to Mr. Renz' presentation oat the Summit, I wanted to thank you again for bringing professionals like Mr. Renz to our attention. Back in the 1980s, I saw a magazine article about the rancher who owns the land on which the movie Giant was filmed. This movie, starring James Dean, Elizabeth Taylor and Rock Hudson, had as its centerpiece a huge mansion on a 500,000 acre ranch. My wife liked the movie, so I called the owner of the property and asked if I could buy a piece of the set and have him mail it to me. Instead, he offered to let me have as much of the set as I wanted if I would drive all the way down to Alpine, Texas (about 10 hours) and get it myself. So one weekend, I drove down to west Texas. I drove into the ranch and there it was: the house out of the movie. Or, at least a bunch of rotted 2” x 4”s that had been holding up the single wall that formed the front façade that looked like a house. You see, there never was a house, just a fake wall. But to millions of moviegoers, it looked like a fantastic estate. You see, there are some similarities between a Hollywood set and a mobile home park. Not the financial status of the occupants. Not their taste in fine wines. But the general concept of a Hollywood set has more in common with a mobile home park that any other niche of real estate. Hollywood is all about looks and not substance. All that matters is the outside of things, not the inside. And that pretty much sums up all those mobile homes that are not owned by the park. All you can see are the exterior walls, but you have no idea what’s going on inside that home. Nor do you care. If the outside is well-painted and skirted, then inside could be a complete mess – nobody knows for sure. As a park owner, you can do a tremendous amount of park upgrading quickly since you only have to worry about what you can see on the outside. There’s a park we tour at Boot Camp in Orlando in which the owner took a complete dump and painted the common areas, fixed the potholes and sealed the roads, planted 100 palm trees, installed entry fencing and signage, and painted and skirted all the homes. The net result was probably a doubling of the value of the property – and all that could be accomplished in about 90 days. Can you imagine doing that with an office building or apartment complex? 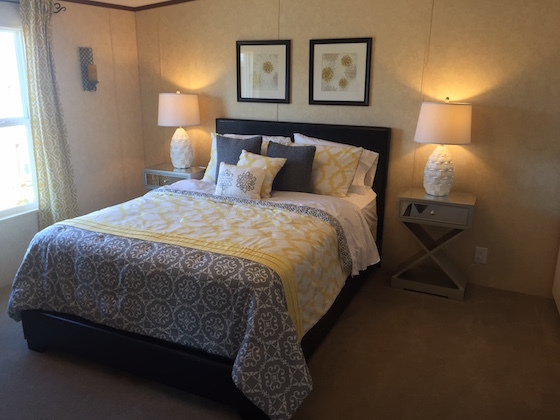 What’s it cost to paint a mobile home? Around $500. What’s it cost to install a new entry sign? Maybe $2,000. What about mowing and edging the grass? $200 or so. The bottom line is that renovating a mobile home park is not that expensive an endeavor. And that’s because the big dollar items are inside those mobile homes. A single furnace costs as much as the entry sign. So does the carpet. And the A/C. In some parks the total cost to renovate the park is equivalent to what it costs to remodel just one mobile home. 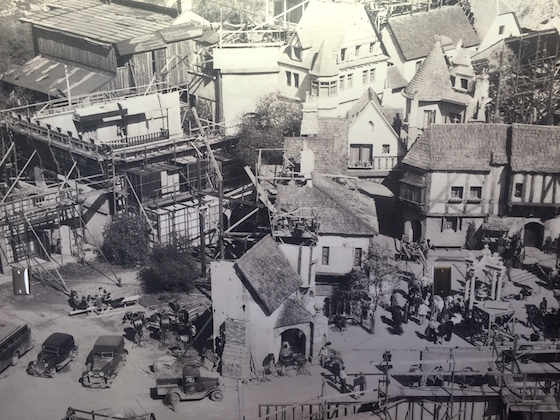 The similarity between a Hollywood set and a mobile home park is a huge positive. There’s another similarity: the ability to produce a blockbuster on a small budget. Beauty may only be skin deep, but sometimes that’s a positive and not a negative. We did a lot of conduit loans -- and regular bank loans -- last year. A common feature of those loans was Security Mortgage Group. If you are buying or financing a mobile home park, let Security Mortgage Group get you the loan. They'll get you better terms than you'll ever be able to find on your own. That's why the win the industry mortgage broker award virtually every year from MHI. If you have any loans you need help on, you can reach Anthony or Gerry at (585) 423-0230. We get asked all the time why we give out information to park owners that may be our competitors. The truth is that mobile home park owners really don’t compete with each other. Why? There are a number of reasons. Mobile homes are anything but mobile. If they are pre-1976 then they have no HUD seal and you can’t move them into virtually any park in the U.S. Even if they have the HUD seal, they are not really roadworthy and the owner runs the risk of it falling apart in transport. And then comes the issue of having to put down all new utility deposits, change your mailing address, and sometimes change school district. Mobile home park residents just have no interest in moving. So even if another park owner wanted to steal your customers it’s really, really hard. Most of our parks get 40 calls or so a week from people looking at buying or renting a mobile home. That’s way more demand than anyone needs. As a result, mobile home park owners are not too concerned that your competing ad will render their home impossible to sell. If we were talking yachts and there are maybe three buyers a month coming in, then you might promote complete secrecy. But the general feeling is that there is so much demand for affordable housing, that there’s more than enough for everyone. Another reason that mobile home park owners are not that afraid of each other is that most owners are only seeking to buy one or two parks. As a result, when you talk to a park owner you’re not typically talking to someone who wants to steal your deal. They not in a buying mode. What’s the proof? Look at the list of the top 100 park owners in the U.S. You’ll notice that you only need about 600 lots to make the list. That’s about three to six parks, based on what size they are. There’s 44,000 parks in the U.S, and the top 100 people only own about three parks or more. That means that about 42,000 owners own just one park (about 2,000 parks are owned by the top 100). That’s 99.5%. The ability of park owners to communicate with each other openly and without concern is one reason that you can get so much information out of talking to them. Just look at our Forum and you’ll see this in action every day.